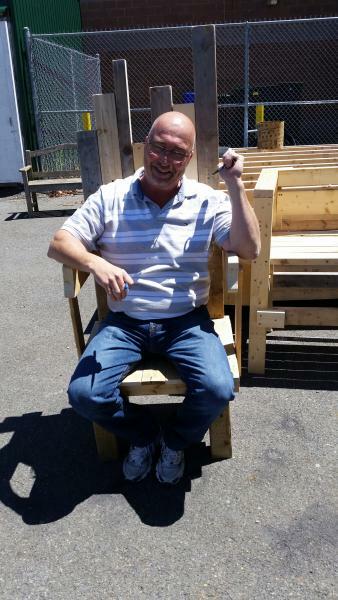 The HTT12 students and their teacher, Mr. K. Gould, decided it was important to do something with the leftover wood after building their shed. The result--planter tables and chairs. Below you can see the fun chair that was built. June 11, 2015 -- Drs. Rachna Minocha and Rick Mckenney have been great supporters of Amherst. In 2014 they, along with their hard working organizing committee, decided to take things a step further by organizing an annual Valentine Run in an effort to support local running/health promotion throughout the year. 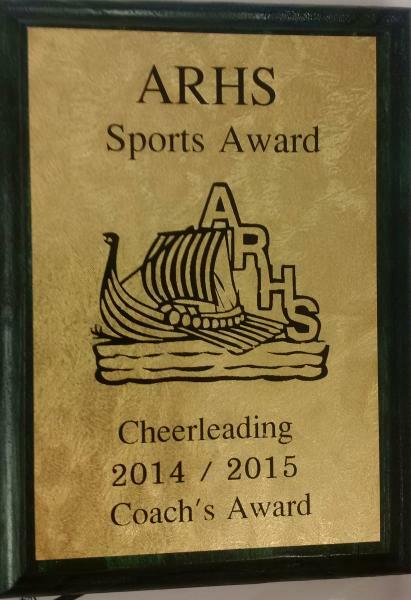 In both 2014 and again in 2015, ARHS was awarded a $500 grant to help promote sports. This money is awarded to youth who wish to be involved with sport but may be having some financial difficulty. All ARHS youth who may have a financial need are encouraged to speak with your coach, the Athletic Director or an administrator in the office. Never say never. There is help available. 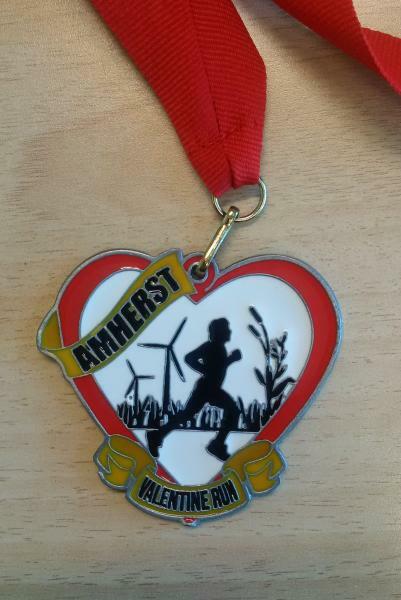 ARHS thanks the Valentine Run Coordinating committee and all of the volunteers (ARHS youth and staff included) who helped make the run possible. Your time, energy and talent has created something quite special in our community. Thank you for thinking of us. Wednesday, June 10, 2015 -- The ARHS Sports' Banquet had a special addition this year. Our CEP 10 students with the support and expertise of their shop teacher, Mr. Fred Gould, made the plaques (see example below) which were given out to our talented athletes. We applaud the CEP students for the great contribution they have made to a very special evening. June 10, 2015 -- The Sports Banquet is under way. 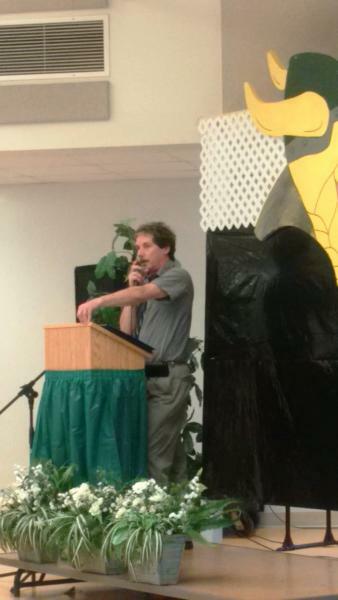 Thanks goes out to Mr. Jim Ripley who gave an inspirational speech. 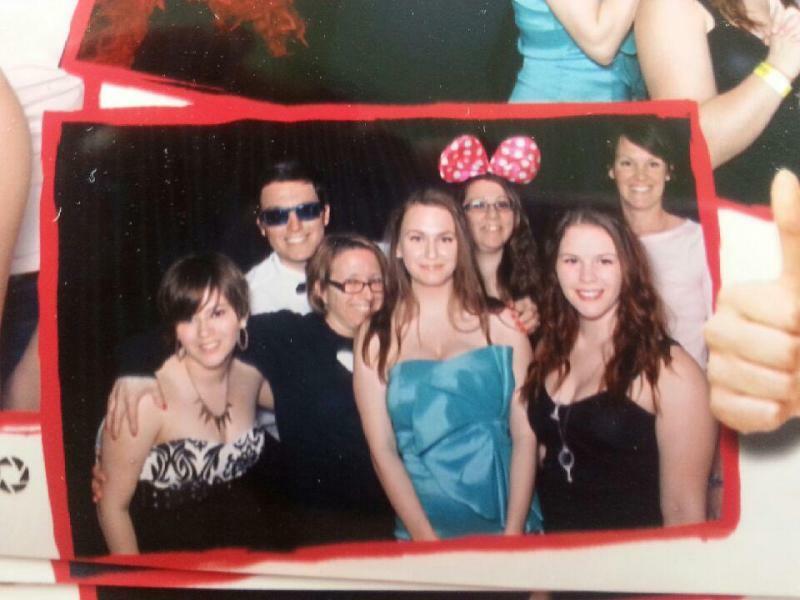 MAY 2015 -- Five youth from ARHS were fortunate to attend the 25th annual Canadian Youth Against Impaired Driving Conference held in Fredericton, N.B from May 21-24. The conference is a national conference that allows youth from across the country to network and exchange ideas regarding creating awareness about the consequences of impaired, distracted driving.